Social relationships, not political, hold communities together. In Anishinaabe communities, external colonial agencies created changes. External upheavals by colonial governments, education and helping agencies have eroded social structures that nourished communities. Yet, it is the Anishinaabe that are the ones that must improve social conditions. It has to be dealt with at the community level. We need to understand how we ordered our societies so that we can fix what was done to us as well as what we may have been complicit in. The restoration and recovery of social relationships cannot be divorced from governance discussions. 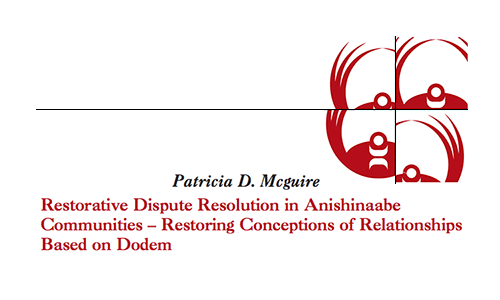 It is the social relationships instituted in the Dodem system that will provide the supportive frame for successful governance restoration and support the development of Anishinaabe based justice. University of South Dakota Professor of Law Frank Pommersheim fields audience questions about the importance of civic engagement to constitutional reform, removing the Secretary of Interior Approval clause from tribal constitutions, and other important topics.